Leah Pritchard who first graced the stage of the Watermark Theatre as the plain spinster, Lizzie, in “The Rainmaker”, and then demonstrated her considerable acting range as the elegant Alais in “The Lion in Winter”, Peter and Balthazar in “Romeo and Juliet”, and the vibrant and witty Mabel Chiltern in “An Ideal Husband”, is returning for her third season with the Watermark Theatre. This summer, Leah will play one of the great roles of the 20th century theatre, Laura in “The Glass Menagerie”, along with the dual roles of Edith and Mrs. Bradman in “Blithe Spirit”. Leah is an actor rooted in the Atlantic region. Born in Nova Scotia and educated in Newfoundland, Leah earned her BFA in acting at Memorial University. Her acting credits include stints with the Gros Morne Theatre Festival, and Hard Ticket Productions in Newfoundland; Neptune Theatre, The Villain’s Theatre, Us vs. 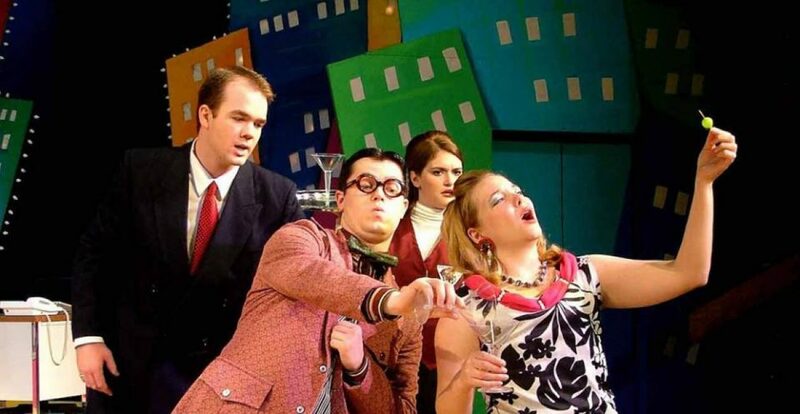 Them Theatre Collective in Nova Scotia; and of course the Watermark, where critics have said of her: “Leah Pritchard is really great at tuning in to the right emotional channel…” (The Rainmaker–The Buzz); “Oscar Wilde could not have hoped for a more expressive face or better comedic instincts than Pritchard’s” (An Ideal Husband–The Buzz). Leah is a member of the award-winning Xara Choral Theatre Ensemble of Halifax, and sang on their debut album, “Here On These Branches”. She is also a teaching assistant for Neptune Theatre’s youth theatre workshops, and has helped lead Watermark Theatre’s youth Acting Conservatory the past two years. Next month, Leah will be appearing as Bessie in DMV Theatre’s upcoming production of “The Drowning Girls”, at Neptune Theatre. The Watermark is delighted to have Leah back for the 2016 summer season.